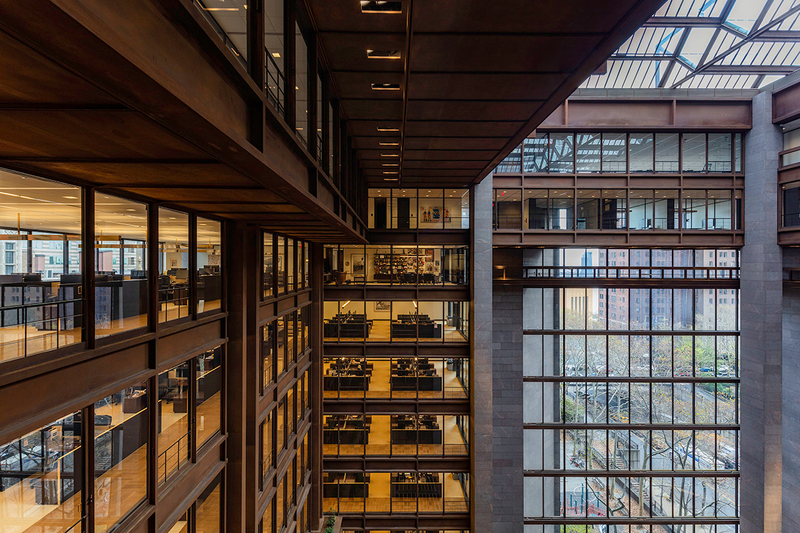 Upon stepping inside the new, light-filled Ford Foundation for Social Justice, you’d never know the crisp and clean, 415,000-square-foot building felt darker and smaller just four years ago. 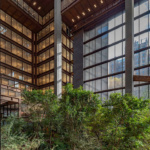 The landmark headquarters of the formerly-named Ford Foundation was designed by Kevin Roche John Dinkeloo and Associates in 1967 and has long been considered one of New York’s greatest architectural treasures. Its 12-story, corten steel structure featuring textured granite walls and floor-to-ceiling glass windows were emblematic of groundbreaking mid-century modern design, but in recent years the prized building has fallen behind the times. This month, Gensler’s New York office completed an extensive renovation effort to redesign and rebrand the organization’s Midtown East facility as a sustainable hub for social justice–oriented groups to commune and collaborate. The 51-year-old building was reconstructed in compliance with updated city safety codes with an increased attention to energy efficiency and accessibility. 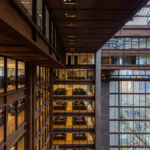 Where rays of daylight used to only trickle into the structure’s iconic, glass-clad atrium, they now sweep through the office areas and out the other side of the building. It’s arguably one of the sunniest spaces in the neighborhood and now boasts near-complete transparency. Central to Gensler’s revamp was expanding the amount of public and meeting spaces for outside organizations from 53,600 square feet to a whopping 81,000 square feet. With more room to host global groups committed to human equity and achievement, the Foundation aims to bolster its outreach efforts while also promoting its own themes of transparency, fairness, and dignity through an inviting design. Gensler also added extra lifts, subtle wheelchair ramps, gender-inclusive signage, and updated workplace furniture to meet ADA standards—all in order to encourage diversity within the Foundation’s four walls. 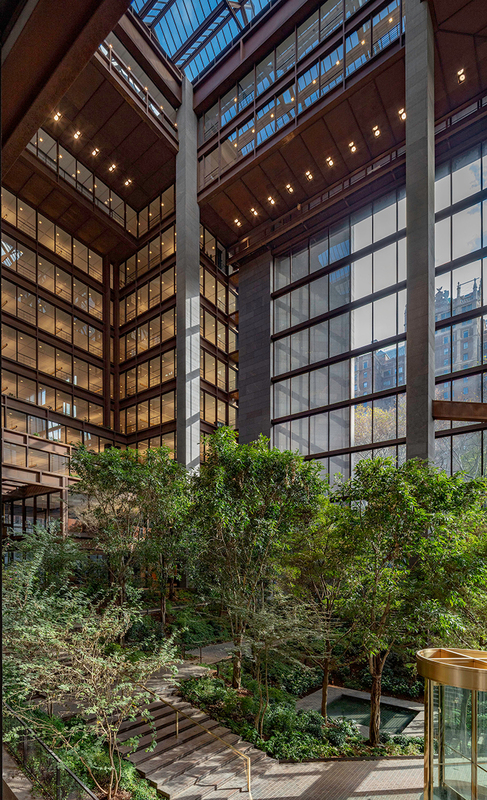 This idea of displaying human value through design also translates to the new open office plan that nurtures collaboration and gives employees access to coveted daylight and ample views of the lush Dan Kiley­–designed garden atrium. Jungles Studio, in collaboration with SiteWorks, rehabilitated the space to align with Kiley’s simple original vision. 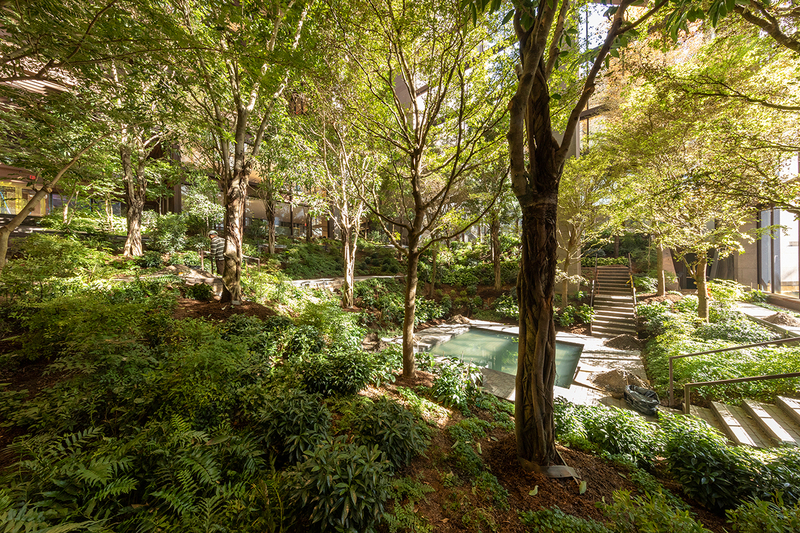 To combat years of overgrowth and erosion, they deepened the tree holes, improved irrigation, and restored the garden’s reflecting pool as well as the brick pavers throughout. This indoor greenhouse is visible from the workspace above now that the closed-door private offices that once lined the atrium walls have been opened up as laneways on each floor. Ed Wood, design director and principal at Gensler, said the overall design intent for the project was to create a feeling of the “new, but familiar.” Perhaps the most impressive part of the Foundation’s renovation signifies just that. During the project, over 1,500 pieces of furniture were meticulously restored while over half of the original Warren Platner–designed wood pieces were refinished to match their original stain. 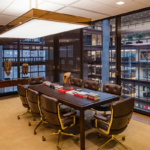 Each legacy lighting fixture, bronze accent, leather-laid item, piece of millwork, as well as the carpet and wood flooring was either refurbished or reimagined using extremely similar materials or pieces salvaged from the Foundation’s storage. 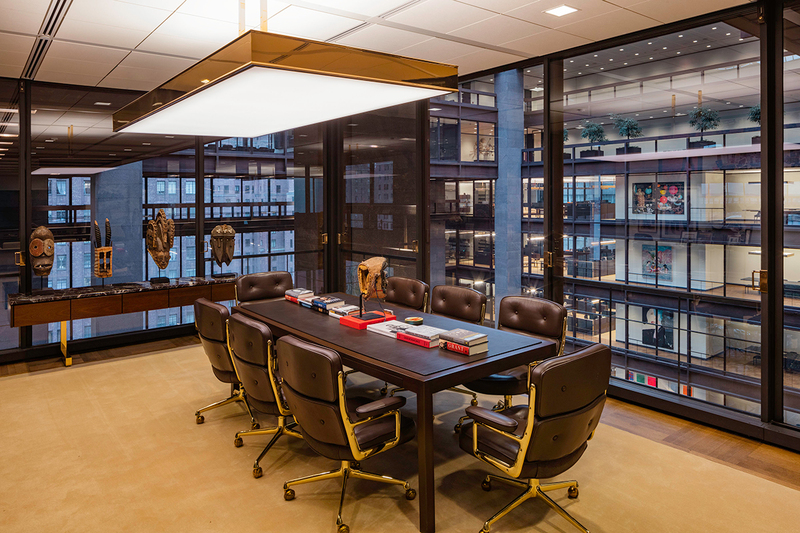 The updated interior successfully transports visitors back to a time when Mad Men era-design dominated New York’s office towers without making it look cheesy and out of date. It’s actually refreshing. 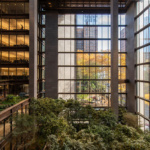 When the Ford Foundation first opened, it was a design marvel and a nod to the Foundation’s claim to be the wealthiest organization of its kind in the world. 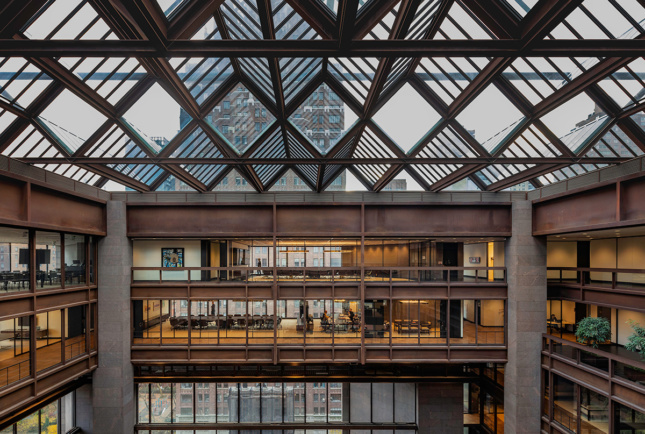 With this update, Gensler brought the building back to life and advanced its architectural status by not only making it a prime example of a 21st-century renovation project but by intelligently piecing back together all the iconic elements that made the interior so irresistible decades ago. 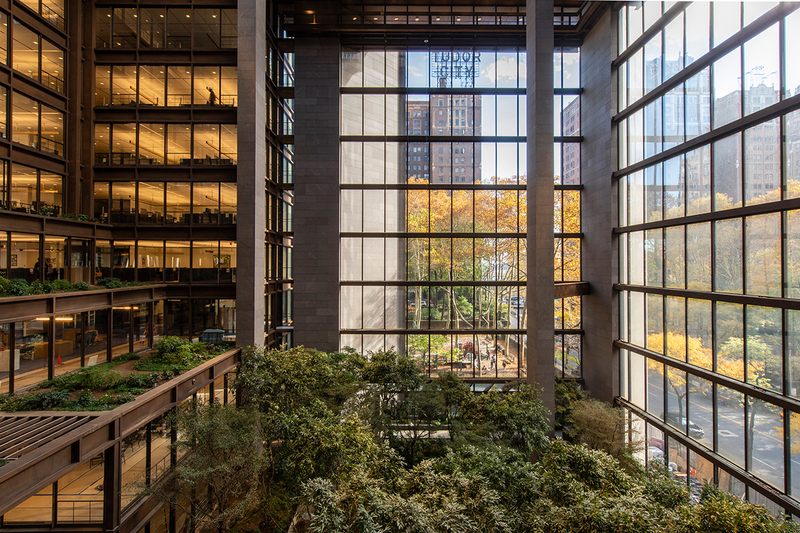 The public spaces inside the Ford Foundation for Social Justice will officially open to the public in January. Its grantees and affiliate organizations will be welcomed into the new convening spaces starting then as well. The project is pursuing LEED Platinum certification. 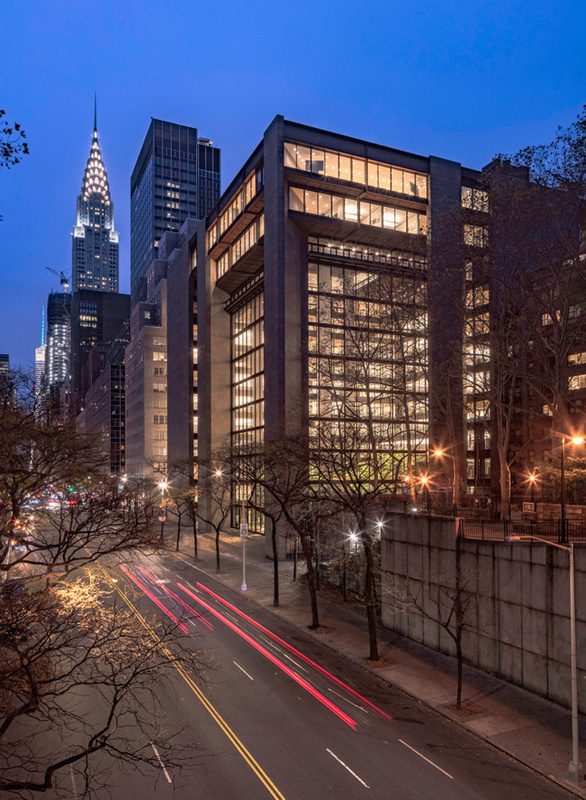 In addition to the staff, the building permanently houses Philanthropy New York, the United Nations Foundation, and the Nonprofit Coordinating Committee of New York.